We all need an extra boost of mental power now and then. For firefighters and police officers who work long, difficult hours, the right supplements can make a big difference. It's easy to lose focus when you're on a long shift. After hours of patrol, you might feel ready for a nap rather than ready for action. Civil servants work hard for long hours and are expected to perform well in high-stress environments. To combat sleep and stress, these neighborhood heroes could benefit from some mental-acuity boosters. These five supplements not only increase brain power, but many of them fight the negative effects of stress and anxiety for good measure. 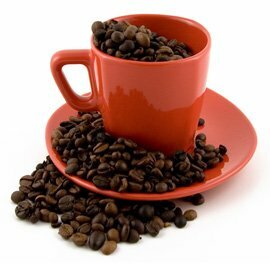 Caffeine will almost instantly increase your alertness level and can help boost your focus and concentration. That mid-morning cup of coffee might be totally necessary if you're feeling drowsy. The drawback to caffeine though is that once the effects wear off, you might feel more drowsy and unfocused than you did before you had any. Which means it's not surrogate for sleep over the long haul. Caffeine can also become addictive in large doses, so be careful if your 3 cups of coffee turns into 13. Gamma-Aminobutyric Acid acts as a neurotransmitter. It has slight stimulatory effects on the brain, and in some people may help induce a state of calm. If your constant crime-fighting is stressing you out, try some GABA. This amino acid is very involved with the body's regulation of cellular energy production. It can also increase the usage of carbohydrates. Acetyl L-Carnitine assists in maintaining higher energy levels, can help support a healthy heart and may promote overall brain function. A win-win-win for firefighters! A study published in the Proceedings of the National Academy of Sciences Of the United States Of America noted that when subjects supplemented with acetyl L-Carnitine, they had improved rates of performance on memory related tasks due to the brain's improved mitochondrial function. Bonus! Dudes looking to boost their natural testosterone production may find some added support from Acetyl L-Carnitine. L-Tyrosine may help with mood enhancement and support mental focus. It's also great for promoting thyroid and pituitary health. Note: If you are already on thyroid medication you should always consult your doctor before using this supplement, because negative interaction effects may occur. This supplement can assist with memory enhancement. 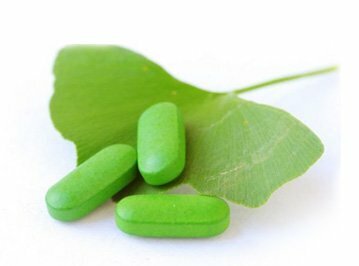 In addition, Ginkgo Biloba offers antioxidant properties which can help battle unhealthy free radicals. It's also been used to help improve circulation to the lower body. The most commonly reported benefits include the increased support to help learn new skills and to better remember old ones. Ames, B.N. et al. (2002). Proceedings of the National Academy of Sciences Of the United States Of America. Vol. 99. No. 4 2356-2361.